Flickr member Eric Flexyourhead posted this amazing shot of downtown Vancouver, BC taken with his Ricoh GR. 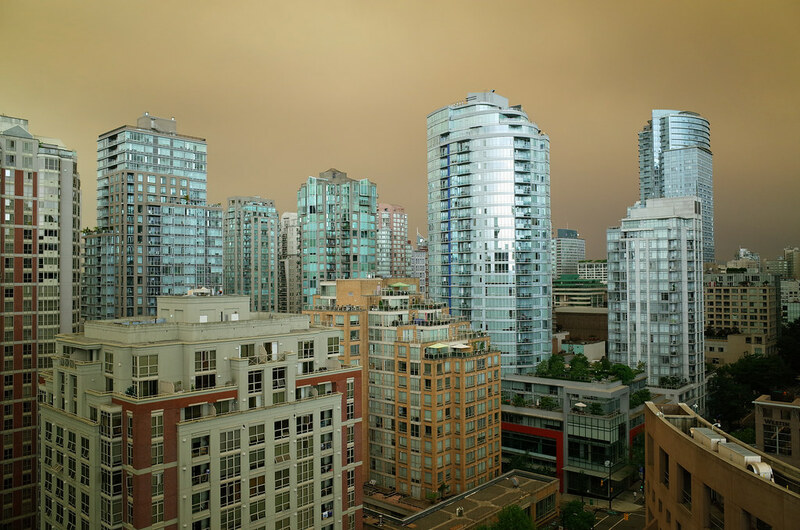 Last Sunday morning was the beginning of a several day period that saw Vancouver enveloped in a cloud of thick smoke from nearby forest fires. The sky looked surreal when I woke up, but by the afternoon the smoke had come down to ground level and obscured everything more than 300 or 400 metres away. Wow! Striking photo of my home town. Indeed it is. Do you remember that day when the smoke was thick? Yes, although the smoke wasn’t quite so bad where I live compared to this picture. This looks like a volcano exploded nearby.